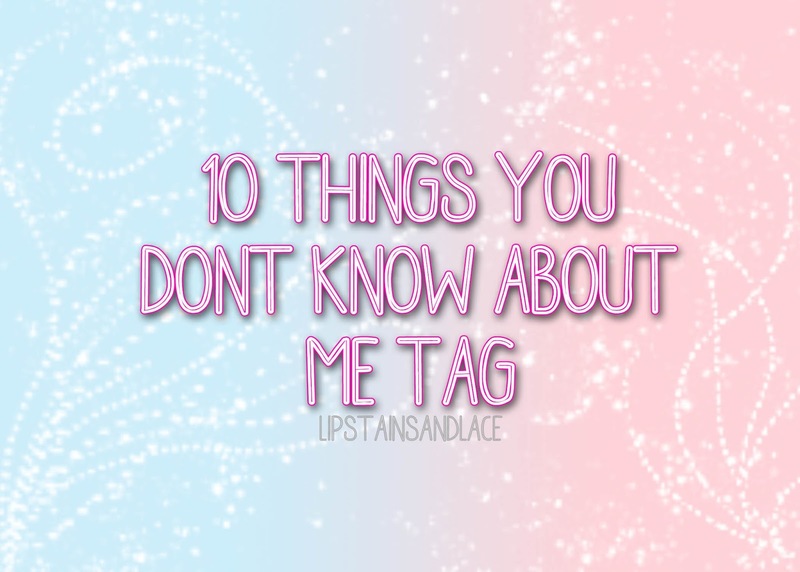 This is a different kind of post, I'm going to do the 10 things you don't know about me tag. I'd just like to thank the lovely Grainne from Trés Belle Blog for nominating me to do this post, go check out her blog she's a great blogger and a lovely girl (her daughter is adorable too). 1. Who are your top 3 bloggers at the moment? My top 3 bloggers are.. I have always been a loyal follower of Leanne from Thunder and Threads and I think I always will be. Her style is just so cool and she goes to some of the most amazing places, she was recently travelling so I loved seeing where she was each day and what she was doing. Grace is the snapchat queen. I love reading her tips on her blog posts and I love watching her YouTube videos even more! If you haven't checked this girl out before definitely do.. she's going places! Rosie is one of the most stunning girls I've ever seen, she always looks flawless (I seriously don't know how she does it) she's so funny and comes across as such a lovely girl, plus she has the cutest little baby called Harry (seriously adorable) so be sure to check her out if you haven't before! 2. If you could own any animal in the world what would it be? I love my little pup Poppy to bits but I'd love to own a pomeranian some day.. they're just so cute and fluffy! I don't think so anyway? my number one celebrity crush is Jamie Dornan though.. I mean.. the man is just gorgeous! 4. What's your favourite word? I say like a lot a lot a lot.. so I guess you could say it's my favourite word to use! 5. What really gets you mad? Someone annoying me, seeing people be nasty to other people, people stealing other peoples work and not crediting them for it.. the list is endless! 6. Do you prefer red or green grapes? Green, but I eat the red ones too! 7. What's your favourite pastime? Since I started blogging it's become a hobby of mine that I'll just change little bits of my design here and there, write blog posts or make some thumbnails in Photoshop when I've nothing to do. I'm always at it now! I would absolutely love to work in advertising or something design related some day. 9. If you could learn any language fluently, what would it be? I did German for 6 years in secondary school and I loved it. I'd definitely love to be able to speak it fluently because I want to go and travel Germany in a few years once I finish college and have enough money to. I have an extremely long list of places I want to visit and things I want to do when I go there. 10. Whats the best decision you've made in your life so far? Hands down the best decision I've made is to start blogging. I've met so many great people and had some great chats with people over the last couple of months it's crazy. I've also gotten the opportunity to work with some pretty amazing brands which is great. Things can only get better! Thanks again to Grainne from Trés Belle Blog for nominating me, I really enjoyed answering these questions. 3. What is your favourite makeup product and why? 4. Name one place you would love to visit and why? 5. What's your favourite place to eat? 6. What's your favourite item that you own? 7. If you had to choose somewhere to live for the rest of your life where would you choose? 8. What's the first thing you would do if you won the lotto? 9. What are your favourite blogs to read?